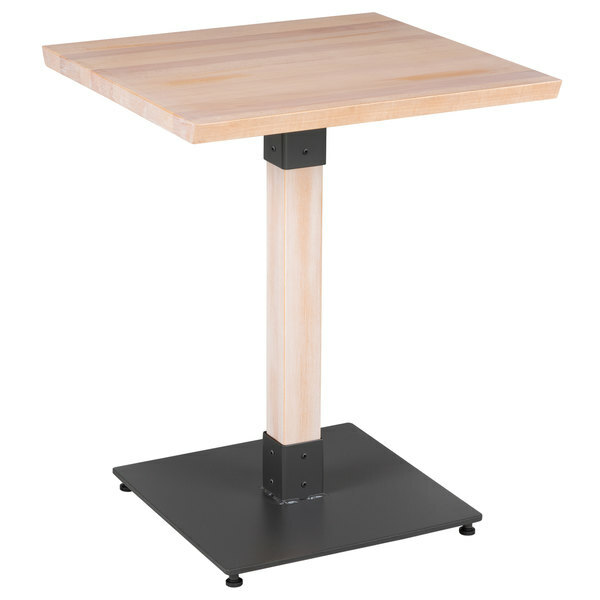 Thanks to its solid beech wood construction, this table is sturdy enough to handle the wear and tear of everyday use in your restaurant. Its underside includes v-shaped metal braces that prevent the wood from warping, which helps to maintain the smooth, sturdy surface. At 24" in length, it can comfortably seat 2 guests.